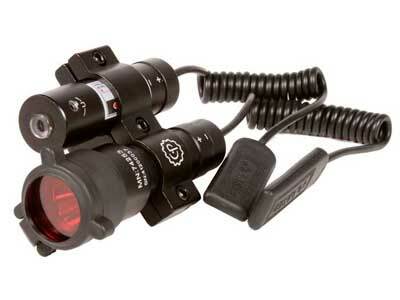 What others should know: Laser is fully adjustable and easy to sight-in. Flashlight is bright enough but not completely blinding. Be sure to mount so flashlight lens cover does not get in way of aim or projectile when open. Be careful not to loose the red lense cap as mine has come loose a couple times but was easy to snap back in place. Fits great on bottom rail of the Umarex Steel Storm CO2 Gun. Dos NOT fit on Crosman C11 CO2 BB Gun rail without modification to gun mount. I simply used a dremel tool to grind down the reccess in mount to allow bolt to fit and it fits and works great on the C11 pistol.